Now is the time to find a job you love. At Becker Furniture World, we believe that it’s possible to have a job that’s rewarding and fun. We strive to create an energetic environment, filled with creativity and opportunity. 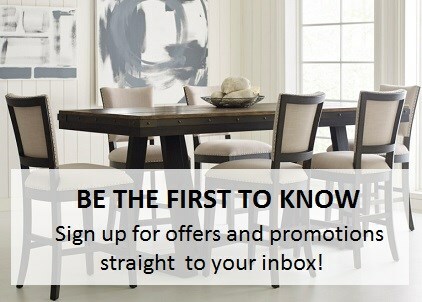 We are looking for people who want to help us achieve our goal: offering the best possible selection of furniture at a value and service level unequaled in our marketplace. Becker Furniture World is a unique furniture store. Our retail locations are a creative environment: fun music, a stylish selection of furniture and great accessories. We want to interact with the customer and help them create the home they dream of. Our Distribution Center is the heart of our operation. Every piece of furniture displayed in our stores or delivered to a customer's home runs through its doors. Our Corporate location reviews each order and tracks every shipment. We may look big, but we are a local, family-owned business that cares about our employees. We currently have a wide range of opportunities open, both full-time and part-time, to match a wide range of skills, interests and education levels. These opportunities include careers in areas such as Sales, Warehouse, Cashier, Delivery Driver, Management, Housekeeping and much more.